If you’re like most Americans, there are probably a few things you find difficult to swallow. Like the fact that it’s been more than 30 years since they stopped making cassette tapes or that smartphones are basically entire computers that fit in the palm of your hand. You know what else Americans can find difficult to swallow? Their pills! 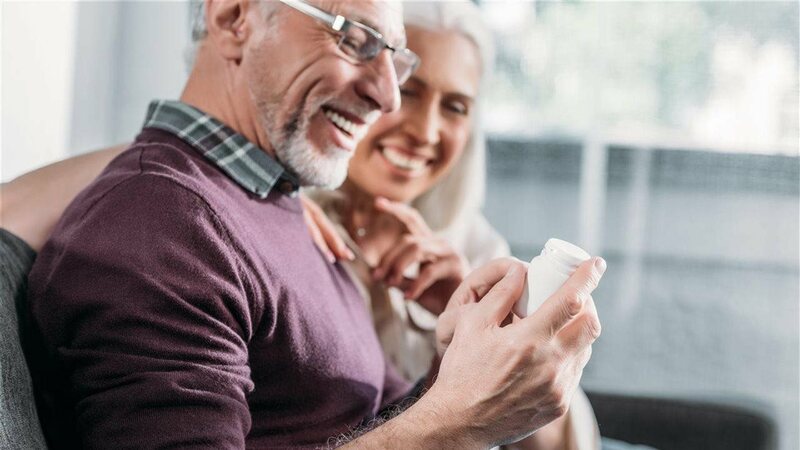 According to research, 40 percent of American adults age 50 and older experience difficulty swallowing pills, while some report “pill fatigue” from taking too many pills. These reasons may cause them to skip taking them while others would be more likely to take their pills every day if they could chew them. Well, it could mean that older Americans with moderate to advanced age-related macular degeneration, or AMD, may not be getting the nutrients they need to support their eye health. AMD is the leading cause of vision loss in people 50 and older, affecting more Americans than Alzheimer’s disease. In fact, it is estimated that one in five people over 65 is diagnosed with AMD, a ratio expected to increase as the population ages. The condition affects the macula, the part of the eye required for central vision, which is needed for driving, reading and other important tasks. While there is no cure for AMD, there are steps one can take to help reduce the risk of disease progression – such as including a nutritional supplement as part of a daily care plan. * See your eye doctor to create an eye care plan that’s right for you. * If you smoke, quit as soon as possible. * Eat right, exercise regularly and talk to your eye doctor about taking a daily supplement that contains the nutrients recommended by the National Eye Institute (NEI) based on the landmark AREDS2 study. For the millions of Americans who suffer from AMD and also experience difficulty swallowing, there’s good news. The makers of PreserVision(R) now offer their AREDS 2 nutrient formula in a convenient and great-tasting chewable vitamin. PreserVision(R) AREDS 2 Formula eye vitamins are the only ones that provide the exact levels of all six clinically proven nutrients recommended by the NEI. To learn more about AMD and AREDS 2 formula vitamins, visit www.PreserVision.com. Many Americans find pills difficult to swallow. Fortunately, the makers of PreserVision have responded with a chewable version of their AREDS 2 Formula vitamin that can be conveniently taken without water, and contain the exact nutrient formula recommended by the National Eye Institute (NEI) to help reduce the risk of progression of moderate to advanced age-related macular degeneration (AMD), the leading cause of vision loss in adults 50 and older. * Work with your eye doctor to create an eye care plan that’s right for you. * Eat right, don’t smoke, exercise regularly and talk to your eye doctor about taking a daily vitamin containing the nutrients recommended by the NEI that could help reduce the risk of disease progression. * Left untreated, AMD could lead to blindness. For more information about AMD, visit www.PreserVision.com.